Chandigarh: Appearance of the Badals leading their flock SAD (Badal) leaders at the Darbar Sahib and initiating of an Akhand Path’ adjacent to Akal Takht today for the atonement for their ‘advertent and inadvertent mistakes; during their 10-years long regime in Punjab is a political drama being enacted to arrest the collapse of their Akali Dal in the runup to the 2019 elections is a mere ‘political drama’ to win over the Sikhs who have rejected them in toto, said various Sikh intellectuals and retired senior Sikh journalists in a joint statement issued today. “The Badal family having control over the SGPC and other Sikh institution indulged in callous violation of the Sikh Panthic traditions and turned the politics into a business enterprise. In an attempt to raise its ‘vote bank’ the Akali Dal (Badal) colluded in Bargari sacrilege incidents and made Akal Takht Jathedar to exonerate the Dera Sacha Sauda Chief accused of violation of Sikh tenents. The complicity of the Badals in sacrilege of Guru Granth Sahib has been substantiated by the Justice Ranjit Singh Commission which probed the Baragari sacrilege case”, the statement reads. They further said: “the Badal-BJP combine was ruling in 2015 when the Bargari sacrilege incident took place and it had not made any serious effort to find out the truth. Rather, they had attempted to suppress the peaceful protestors by brutally firing upon them and by wantonly killing the two. 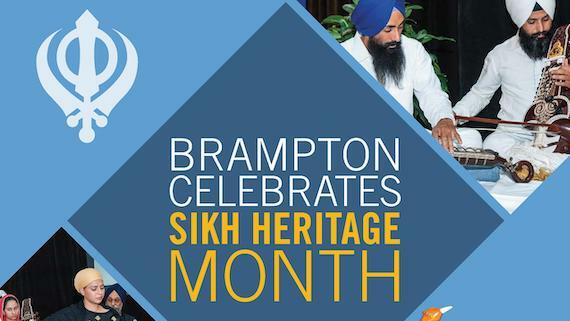 They also deflected the investigation by falsely accusing two devoted Sikhs of committing the crime and later torturing them in police custody to elicit confessions from them. Such conduct made the Sikhs in general suspicious about the Badal- BJP rulers’ complicity in the sacrilege, regardless of who the guilty ones were”. They said that the Badals must “openly confess the deliberate sinful acts committed by them since 1978 which had led to the downslide of the Akali Dal and morale of the rank and file besides completely eliminating the political space of the Sikhs in the Indian Union”. 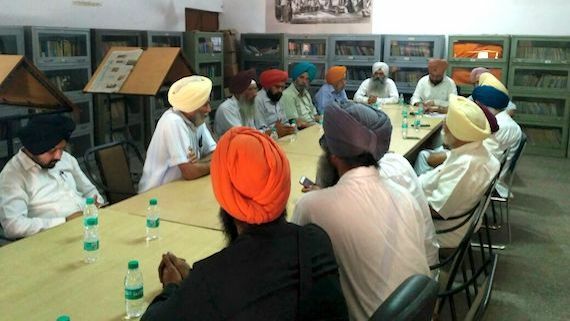 Gurtej Singh and others said that the Badals made the “Akali Dal” a camp-followers of the BJP and created furtile ground for proliferation of Hindutva forces in Punjab. 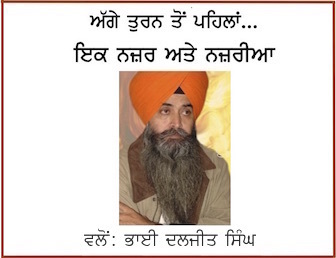 “Now a legend is fast growing that the Badals are deliberately raising an accusing finger on the recent arrests and attempting to obfuscate the investigations since the ongoing probe by the Justice Ranjit Singh Commission to obviate the coming up with some leads which would have serious implications for the Akali leaders and the Dera Sacha Sauda in tow”, the statement said.